International Women’s Day is about celebrating women’s achievements and highlighting the new role models in our society. At OMNIPLAN, we have women that are taking the world by storm, and today we’d like to show some love to two amazing ladies. 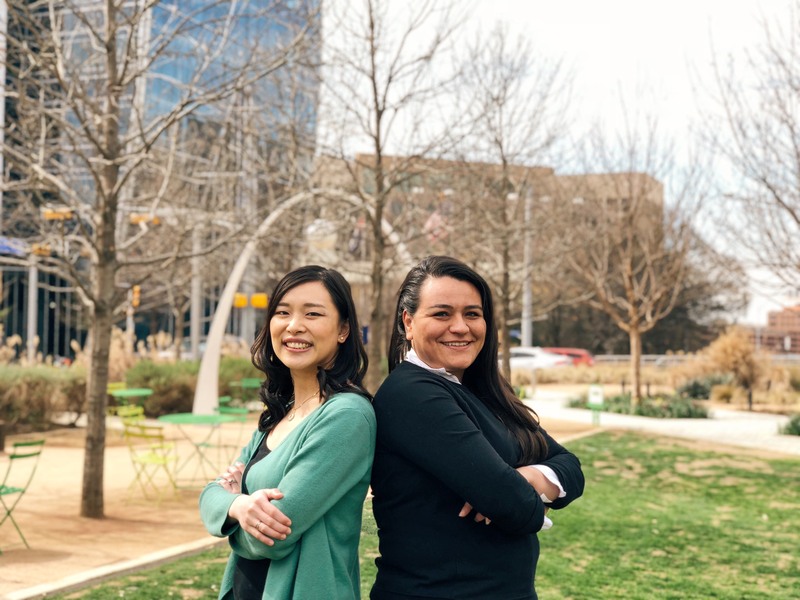 Emily Teng Yan and Selina Cinecio are both actively involved in the Girl Scouts Cookie Box Creations to mentor 6th, 7th and 8th grade girls at Robert T. Hill Middle School to teach them how to transform an ordinary cookie box into a piece of art. Both Emily and Selina have served in leadership roles for the past five years, including this year. Last year the team won first place which meant that the girls were able to display their structure at the STEM Center of Excellence. Each year the teams are given a theme and this year was famous female authors. The girls chose Frances Hodgson Burnett who wrote The Secret Garden. 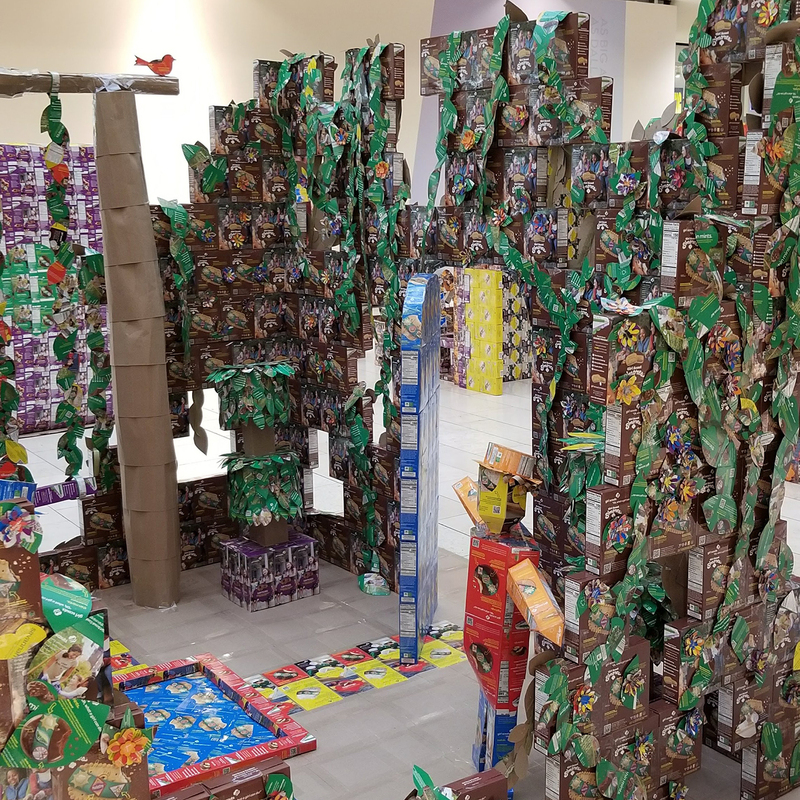 The Girl Scout Program will partner groups of middle school to high school age girls with local architects and engineers to turn empty cookie boxes into structures. This is a chance for the volunteers to introduce STEM skills and critical thinking tools to the girls as they strengthen their team-building abilities. 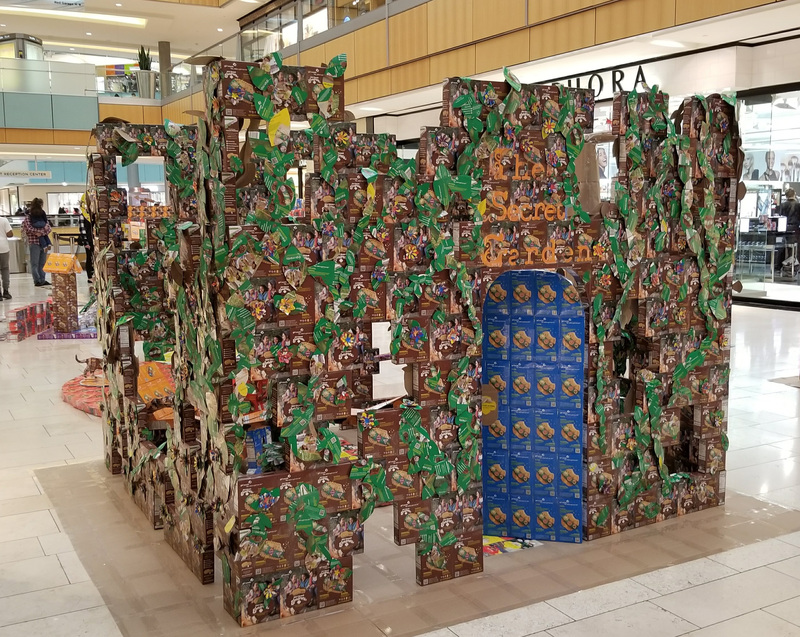 What is the most rewarding part of Girl Scouts Cookie Box Creations? What is the most surprising part? How have you grown from this experience? Outside of work, these girls are often donating their time to other community events like hearts and hammers, Retrospect, CANstruction, and Bark+Build. Selina is the most involved community leaders in our firm, having lead multiple events including Girl Scouts Cookie Box Creations for the last 5 years as well as CANstruction and Retrospect. At work, she is just as committed. Selina is a dedicated individual joining the firm in 2013, she quickly became an important team member with a tremendous amount of talent-- especially with her technical ability. Selina enjoys the retail market, having worked on some of our award-winning projects including Baybrook Mall, Oakbrook Center, The Outlet Collection at Riverwalk as well as our most recently completed project, La Plaza Mall.In addition to her retail experience, she also worked on the Dallas Holocaust and Human Rights Museum which is now under construction. Emily is always ready to help anyone that asks, with a humble and gracious attitude. In addition to her continual work with the Girl Scouts, she is passionate about mentoring younger aspiring architects in the firm as they undertake their ARE exams, providing resources, tips and tricks and study groups. Emily is a hard worker and has been actively involved in some of the largest projects in the office including the Dallas Holocaust and Human Rights Museum and Highland Park Village Building G, which are both under construction. Currently, she is working on Highland Park Presbyterian Church, one of the largest projects in the office. As a Dallas native and artist on the side, Emily is passionate about the arts’ role in the city. She has participated in Artist vs. Architect, winning “Best Architect”, and was involved in the Leadership Arts Institute with the Business Council for the Arts in 2016. We couldn’t be more proud of these women as they charge forward in our firm, in their careers and in our community. They leave a wake of inspiration in their path as they exhibit true leadership and dedication. This is what a role model looks like.